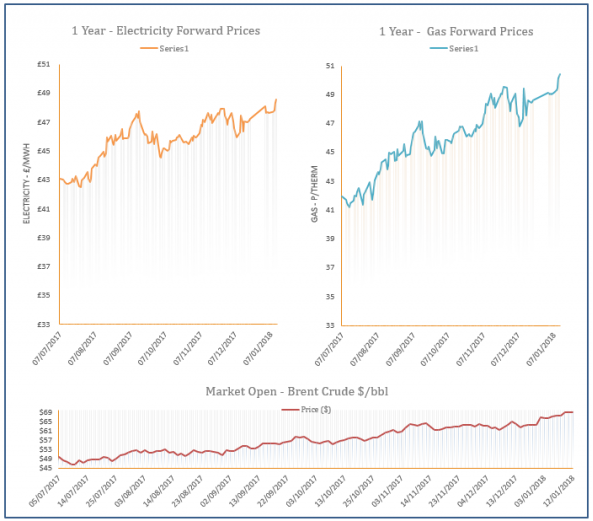 Gas prices moved higher on Friday as temperature forecasts were revised down for the next couple of weeks which will lead to a rise in residential demand. Production at the Groningen facility in Holland was also reduced, with further sanctions a possibility following the recent earthquake. Meanwhile, far-curve contracts continued to find support from a bullish oil market. Wind levels were expected to rise today which will reduce the need for gas-fired power generation, helping Day-Ahead gas decrease yesterday. Cold temperatures are set to hit the UK next week which fuelled bullish sentiment on the rest of the near curve. At the back of the curve, the majority of contracts were pushed higher by rising Brent and a weaker Pound. 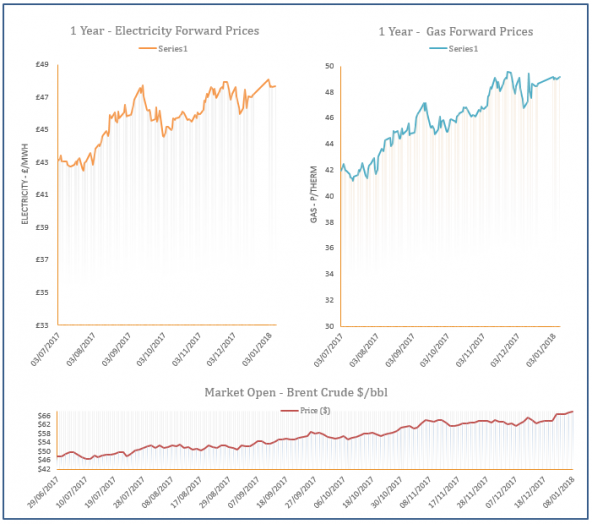 Gas prices strengthened throughout yesterday’s session as it was confirmed that some constraints would be placed on production at the Groningen facility in Holland. An expected drop in temperatures today and low wind levels also offered further support at the front of the curve, while rising Brent provided bullish pressure on the far-curve. High demand helped towards gains on the near gas curve yesterday, with on-going support provided by the earthquake near Groningen which has affected production. An expected drop in wind generation today also contributed to upward movement on the prompt. Further out, prices continued to find support from a bullish oil market. 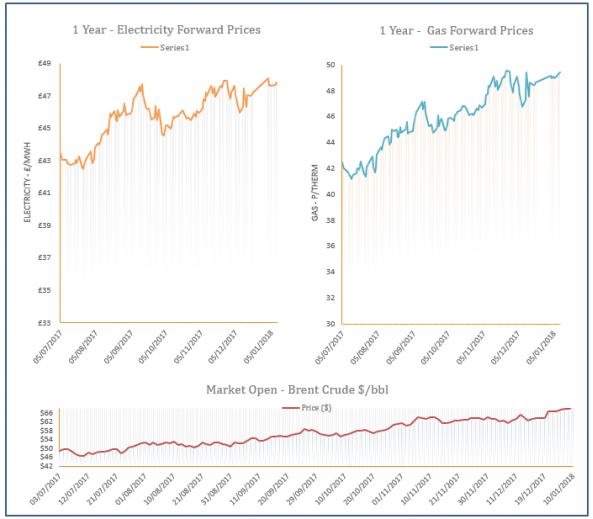 Gas prices moved higher yesterday afternoon as gas demand increased and wind levels were set to weaken over the coming days. Support was also provided by an earthquake near the Groningen gas facility in Holland. 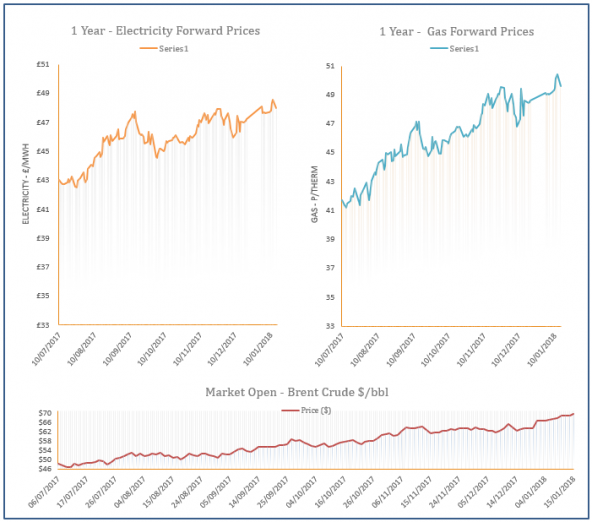 Meanwhile, the far-curve continued to take direction from bullish coal and oil markets.